We finished at third place with a few centimeters difference. From the stroke position I had the feeling we had lost the battle, but our Vespoli is a much longer boat than the opponent’s Stämpfli. 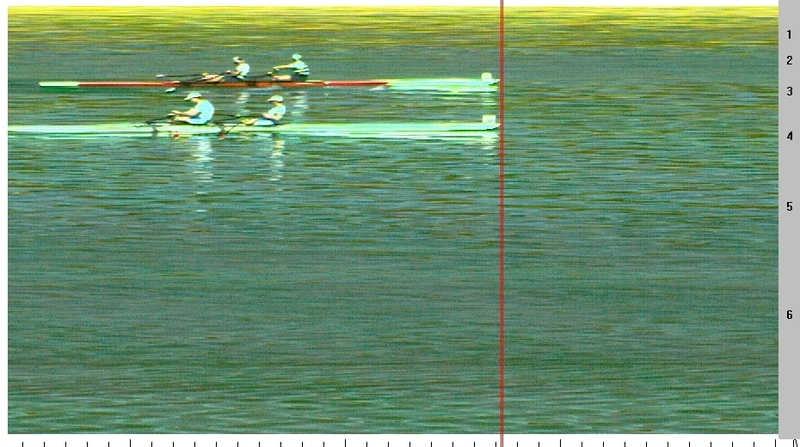 Back to physics: Presuming their weight equal to ours, our opponents must have used less energy as their first and second 500m differed by only 0.18sec, where ours differed by 1.59sec. Our last 500m was faster than our first 500m. This entry was posted in Uncategorized on August 3, 2010 by sanderroosendaal.